This is the fourth post in a series on The Life-Giving I AMs of Jesus. 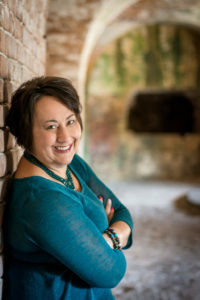 Once again, I have the privilege of sharing the mic with teacher extraordinaire, author and speaker Lauren Crews, a regular guest here at Five Stones and a Sling, to wrestle with these life-giving truths. Our last post left us a few days after the Feast of Tabernacles, and after Yeshua dramatically healed the man born blind. Our Lord is having a discourse with the Pharisees–and tensions are mounting. 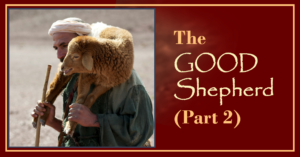 As we discussed last time, when Yeshua declares Himself the good shepherd, He directly confronts the authority they’ve taken upon themselves, presenting themselves as the shepherds of Israel (Num 27:15-17). 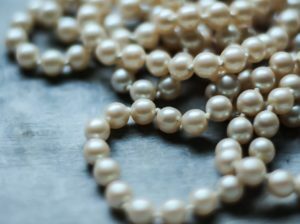 We’ve been talking about how Yeshua strung together pearls of revelation, starting from the end of the Feast of Tabernacles. 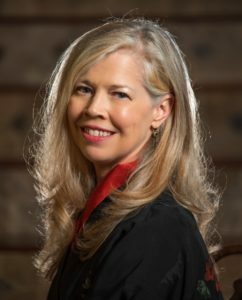 Lauren, what’s Yeshua’s next explosive “pearl” statement? I am the good shepherd; and I know My own, and My own know me, even as the Father knows Me and I know the Father. (John 10:14,15). 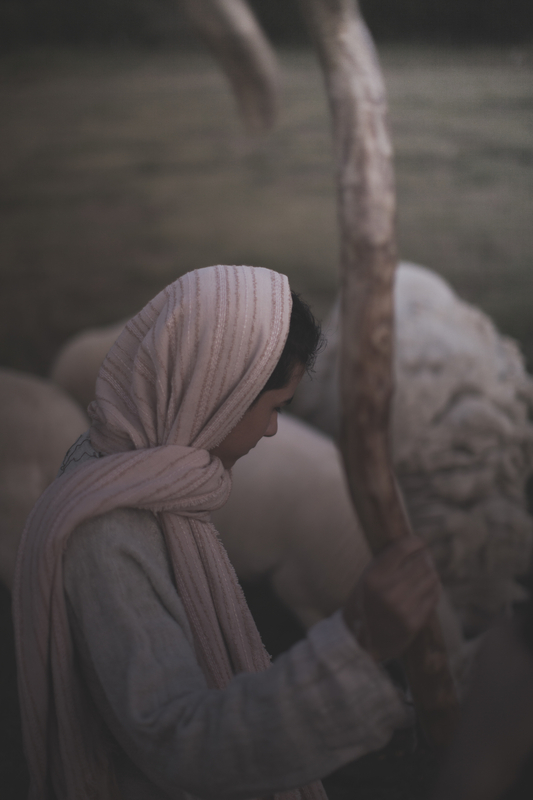 In our western thinking, we often relate the shepherd reference to Psalms 23, “The Lord is my shepherd, I shall not want,” which is a great reference. Observant Jews have read that Psalm every Shabbat for millenia. That Psalm, with its beautiful images concerning God’s watchcare over His sheep, would have been as familiar to Yeshua’s audience as it is to us. True. But we must also remember the atmosphere of His time. Israel was eagerly awaiting Messiah, and they were already wrestling with the idea that Jesus could be Messiah (John 6:14, 7:40-41). Messianic scriptures like this one were swirling through their minds. Absolutely. The good shepherd is one of scripture’s richest recurring themes. How about the Bridegroom / Shepherd / King who appears in the Song of Songs, knocking in vain at the door of His wayward bride? That figure strikes me as a type of Messiah–in fact this much-quoted verse would seem to reference that image. Ezekiel 34 is another passage Yeshua’s words might well have brought to mind. And it’s a scathing condemnation of the Pharisees. If by any chance this messianic reference was lost on His audience, Yeshua reinforced the message when He met Zacchaeus. Their concern was all about maintaining the outward appearance of righteousness, without really surrendering their hearts. So when Yeshua claimed to be the good shepherd, He was claiming more than His role as the destined leader. More than His role as Messiah. Yes. 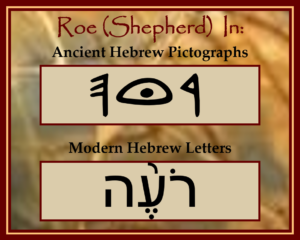 These references confirm the divinity of Messiah and that God himself, in the body of the man Yeshua, will be the shepherd. I sometimes muse whether, if Yeshua had “only” claimed to be Messiah, perhaps they would have accepted Him. I mean, with all the signs He performed He made a pretty indisputable case for Himself! But I think the challenge then, as today, was for them to acknowledge His deity. It seems like it’s the deity of Messiah that every cult stumbles over! Exactly. And now Yeshua takes it a bit further and adds the final, most valuable pearl. Not only was God Himself the Good Shepherd, but He would also be the final sacrificial lamb. I’m hoping by now you are beginning to string your own pearls. Did the reminder of God Himself being the sacrifice bring to mind the story of Abraham sacrificing his only son? God Himself brought the sacrifice then too (Genesis 22:8). For Yeshua’s audience, just after the eight-day Feast of Tabernacles, the daily recitation of the Hallel during the Feast would have left the words of Psalm 118 fresh on their minds. With outstretched arms, Jesus will span the gap between the Temple’s Altar of Sacrifice and the cross. He received this command by the Father, He came in the name of the Lord and He would do it all under His own initiative. If that wasn’t the case, He would only be another meaningless martyr. I can’t help but wonder if this passage also hints at a word play, another valuable pearl. Jesus rebuked the Pharisees’ blindness after healing a blind man. The passage ends with the crowd questioning if a demon could open the eyes of the blind. I imagine they are debating whether Jesus was sent by God, whether He was the divine Messiah or demon possessed. 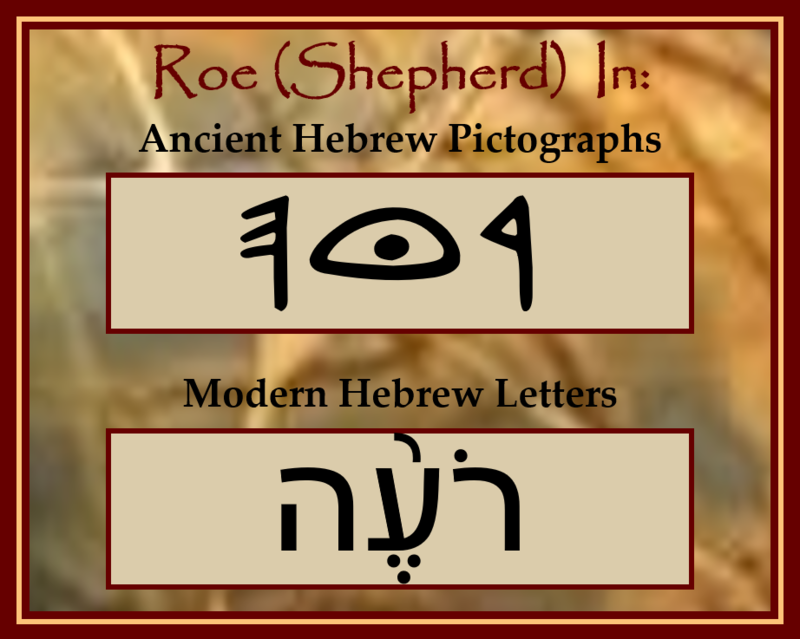 Roe means man of the eye. The eye sees and is often a symbol of understanding. Jesus as the Good Shepherd asserts that He knows those who are His and all spiritual understanding will come from Him as He lays down His life and claims His messianic kingship. Wow! 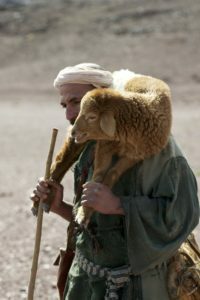 That connection between Yeshua as the source of the blind man’s sight and as the Good Shepherd who truly sees the sheep is one I wouldn’t have caught! I see one other connection here. The Feast of Tabernacles is all about celebrating God’s presence among His people. The Lord Himself sheltered the Jews with Clouds of Glory and supernaturally provided for them during the forty years of wandering in the desert…. The purpose of the sukkah [booths] is to remind us of the type of huts the ancient Israelites dwelt in as they made their trek through the dangers of the desert…. 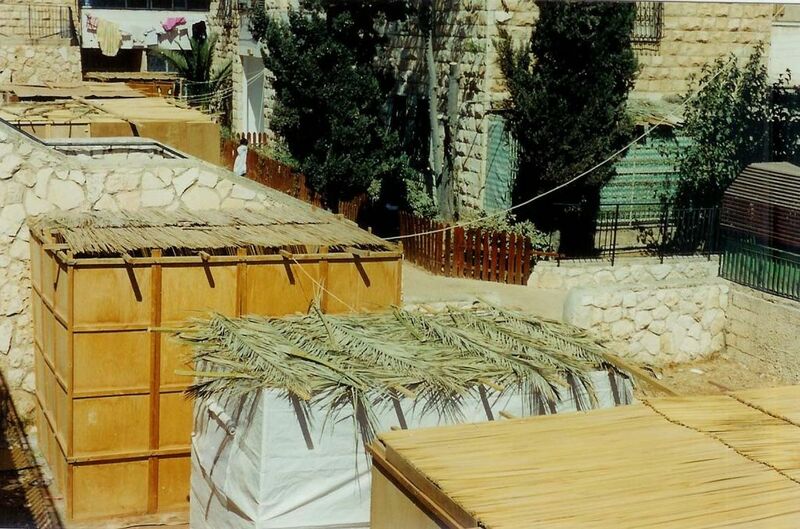 The sukkah is meant to remind us of the Clouds of Glory that protected the Jewish people while they sojourned. God’s very presence tabernacle-ing among them. Yeshua’s string of pearls was designed to show His hearers that the deeper meaning behind the Great Feast has been fulfilled, in the very person of our Lord!